I look back into my own childhood, recollecting how I held tightly onto the strap of my favorite Lion King purse, filled with mints and small tokens, as my family embarked on another adventure. I remember my mother telling my sister and I to look up and smile at the stone-faced security agent when going through border control. What I loved the most (and still do) is seeing all the faces at the airport – tall, short, brown, wide. Skinny women with Louis Vuitton luggage and large glasses. Families with matching t-shirts. Faces that looked so different yet familiar. I realized at an early age the complexity of borders, cultures, and traditions. I’m not alone in realizing the profound impact travel has on children. Travel communities like Single Moms Travel and NomadTogether are all popular for roaming families. Traveling/expat families on social media, from The Traveling Child to It’s A Lovely Life make traveling and flying with kids look (seemingly) effortless. But as a former expat myself, I know bringing an entire family to start a new life across the world is much more complicated than it looks. Despite the array of opportunities, from better healthcare to education, there’s always an array of hurdles to battle. Hi Courtney! So glad to have you on Braids & Jade. Can you introduce yourself? I’m Courtney L. McGhee, I am twenty-nine years old. I’m a mom to a soon-to-be two year old daughter Grace and I’ve been married to my husband Wayne for four years. I’m originally from the suburbs of Chicago but I have lived on every coast of the USA (California, Nevada and New York). Before becoming a mother I was working in fashion in NYC. [However] my master’s is actually in marriage and family counseling. I have a huge passion for diversity and traveling. Shortly after I had my daughter (who was 4 months old at the time) my family and I left for China. We currently live in Ürümqi, Xinjiang. Ürümqi is a very unique city and it has presented us a lot of challenges, especially while being new parents. One example is that foreigners cannot rent easily in this city, so we are forced to live in a hotel. We’ve been in Ürümqi for eighteen months. While strict, Ürümqi still has some great qualities. The plus side of where we live is we have a chance to travel to so many new places. Right now, I am working on a few scripts and trying to plan a way to get some of my ideas realized while we are here. Wow - can you describe Ürümqi for anyone who might not be familiar with this city? The city I live in is the second poorest province in China. It has the third worst pollution in the world. And it’s the biggest landlocked city in the world (no water nearby). This particular city has a Uyghur population (Turkish people), unlike the other parts of China. Ürümqi has strict security that mimics TSA, even at the grocery store. There is nowhere in Ürümqi that can be entered without going through a metal detector and conveyer belt for bags. When I tell other Chinese natives that we live in Ürümqi, they all look concerned or puzzled as to why. Google won’t give accurate info about Ürümqi because there isn’t a lot of info allowed to be shared. There are no local news stations here. However, despite all of this, the mountains are beautiful.The food is some of the best in China, hands down. The people are the friendliest here. Urumqi is truly another world within China. That’s amazing! So let’s just get the big question everyone has on their minds, why China? My husband works for NBA China as a coach (previously he worked in the NBA back home). We decided we’d accept an offer to move to China when my daughter was just two months old. Financially it was a good move for our family, especially since I’d now be staying home (temporarily) to raise our daughter. I thought it would be an amazing experience for our daughter. We had an opportunity to come to China before and regretted not taking it, so we took it as a sign this time around. This is our eighth move in six years. We are blessed enough to go with my husband on all of his business trips. We turn business trips into vacations and because of that we’ve seen a good amount of China. So there’s this new phenomenon called “Blaxit” that circulating around the internet - it’s the trend of Black Americans leaving America for better opportunities. Do you think Black Americans have better opportunities right now outside of the States? If so, what makes Asia a great choice? Though I have never heard of the term “Blaxit”, I am aware of many Black Americans moving and traveling abroad more often. I believe that Black Americans do have better opportunities abroad. There is racism everywhere in this world, but blatant actions of racism that I see happening in America are not the same in my experiences abroad. For that reason, I believe we have a better chance at being treated fairer for opportunities. I’ve also noticed that being Black has actually given us (personally) many privileges. In fact, the city that we live in prefers us over white foreigners! They think we “know” everything for some reason. Everyone thinks highly of us and they are genuinely celebratory of our differences. I know that there are people who have experienced some form of discrimination here in Asia but I personally have not. Everywhere that we’ve gone, people have been very kind and accommodating. My daughter is especially loved and spoiled here in China. Many of the people that we have met, while in other parts of the world, express the same thoughts. We are definitely making more money abroad than we were in the USA. The low cost of living in Asia makes it even more noticeable. They value our perspective and opinions a bit more than in the USA. Here in China our differences seem to be valued in a different way. Even when we leave Asia, we plan to live most of our lives abroad because of this experience so far. Asia is specifically a great place for Black Americans to move for the following reasons: The cost of living is cheap and that means that money can be saved up and debts can be paid off without living “uneasy”. It’s very easy to maintain a decent lifestyle, while still being responsible with funds at the same time. In short, it’s easy to get ahead in Asia. The experience is life changing, it’ll change one’s perspective on life completely. Moving abroad will teach lessons that can’t be taught anywhere else. Also, our uniqueness is heightened here and therefore we are more valuable. My (our) voice is more heard here, even without speaking the language perfectly. What are the best and worst things on raising a young child of color in China? I’ll start with the bad things about raising a child of color in China. Other children are sometimes reluctant to play with my daughter in certain cities. They are so shocked by my daughter that they back away. As a mom it is very heartbreaking to see. My daughter sometimes seems deflated. Though the parents are always kind, the kids here aren’t always polite. People try to kiss my daughter, touch her face, and touch her hair often. Again, my daughter was only 4 months when we arrived. I was freaking out as a new mom in a new world. Hair care options are very limited. We order a lot of things off of a Chinese site that is similar to Amazon (TaoBao) but shipping takes a long to arrive to Ürümqi. This last one is specific to the city I live in – getting vaccinations is tough. We have to travel to major cities to find good doctor offices. My daughter isn’t of school age yet so I’m sure my answers will differ later on, hopefully for the better. The best things about raising a black child in China is also a double-edge sword. Although the heavy attention was initially a lot for me as a new mom, I now appreciate it. Everyone is very helpful. Even when we are on a plane, people are so kind. There have been several times we have had people offer to hold our child rather she was crying or not. They just decide to help. I had a free lap an entire flight once. People literally bent over backwards for my daughter. It is very helpful since we don’t have our “village” here. I feel like I have extended family when it comes to the help I sometimes receive. She gets birthday gifts, random gifts, gifts from housekeepers, staff, and gifts from strangers. One time this lady asked us to wait while she ran to buy a stuffed animal to give to our daughter. Her nickname is literally her Instagram account name: “Grace of China” – she’s treated like a princess. She may be a little too spoiled and that’s the other part of the double-edge sword. Grace thinks that everyone will treat her the same and that everyone is her friend. But, Grace is also picking up the language more and more and that’s what we wanted the most out of this. The things that our daughter is learning from this experience is priceless and I believe it will impact what kind of future she will have. I’m so incredibly jealous of Grace right now! What advice would you give other people of color (specifically parents) who are interested in living or traveling to Asia? For parents who want to visit Asia, I’d say to be open-minded. Just like in any part of the world, if you try and meet others halfway it shows great character. Don’t be that “rude American.” Bend a little and others will meet you in the middle. Expect others to stare, take pictures, and possibly attempt to touch your kids. I personally didn’t know it would be as intense as it was, and I wish I would’ve known. Shanghai has a Disneyland and is similar to NY. Beijing of course has the Great Wall (the slide is so much fun for families!). Chengdu is a great place to go; the food is good, there’s a lot to see and do. Chengdu is most famous for the panda sanctuary and their spicy “hot pot” food. Chengdu may not be as big or popular as the other major cities, but it’s one of my favorites and it’s great for a family vacation. For parents who are looking to move to China, I’d say do a lot of research. For example, there was an epidemic with fake milk being sold. If you’re not in a major city, don’t buy Chinese brand products for babies. I’d stick to brands I’m familiar with. If the brand can’t be found, use Australian brand products. Also, ask locals to help you read reviews while shopping online. You’ll definitely need a TaoBao and iHerb account for familiar things, so ask someone to help you set up an account. Make sure you have a village back home to support you by sending goods from home. Invest in a air purifier, plants, and humidifiers to combat the pollution. Also download the app Duolingo beforehand and learn simple phrases. Definitely invest in a VPN for all of your devices – China is very strict! You cannot use Google, PBS Kids, YouTube and many more core sites without a VPN. Without a VPN, your kids will not survive [laughs]. Honestly, this all depends on the age of the children and the city of China. Chinese cities are very different from one another. What you’ll find in one place you may not find in another. That’s the same even for grocery stores in Ürümqi – one day something is in stock, and the next it’s gone forever. Also be prepared for no personal space – people push without saying “excuse me” as well as cut lines. Finally, ask questions and ask more than one person. Sometimes you get a better answer the second time around. What are three packing/traveling essentials you recommend for parents traveling to Asia? Four things I bring on a plane: noise canceling headphones, snacks, a personal humidifier, and magic erase markers. Five things I recommend bringing to China if you’re going to live here are: medicine for the entire family, a mask for the entire family, your favorite seasonings, familiar snacks, and hair products. 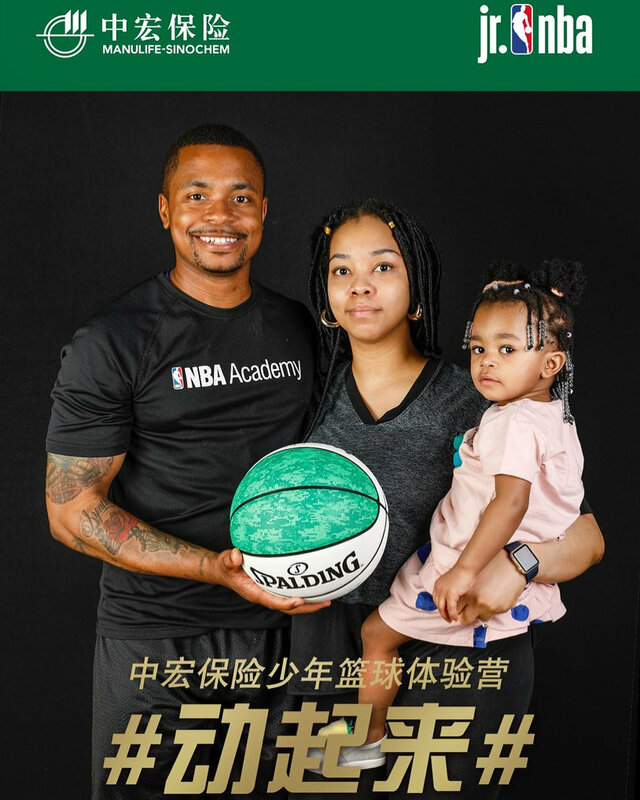 You can follow Courtney and her family’s adventures in China by following them on Instagram and Youtube.